Today's Feel Good Friday topic is food. Mmm, fooood. Everybody loves food but not everybody has food. 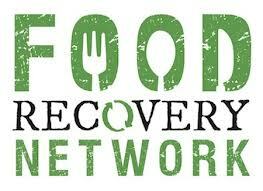 According to the Food Recovery Network (FRN), 1 in 6 people in the US don't know where their next meal is coming from. If they happen to live near a FRN chapter, it could be coming from a college campus. 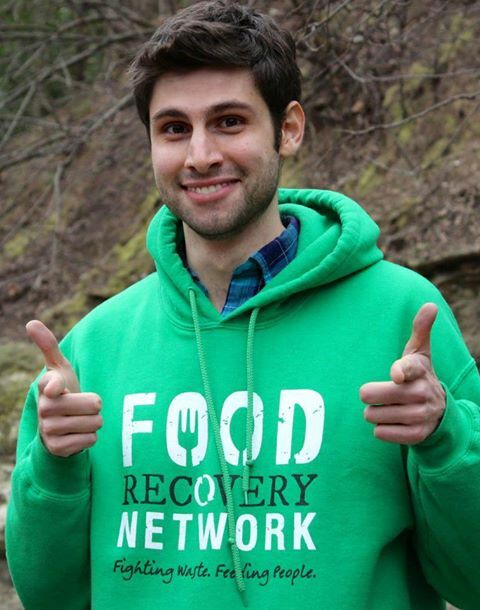 Food Recovery Network was founded in 2011 by Ben Simon and other students at the University of Maryland - College Park. For as much as college students eat, there is always food left over in the dining commons at the end of the night. When the students found out this food was being thrown away, they got student groups to volunteer to collect the food and bring it to local organizations that feed the hungry. In the beginning they were recovering 150 - 200 pounds of food per day. Now they have chapters on 21 college campuses and have collected and donated 166,354 pounds of food! What does that mean? Well, 100,000 pounds of food = 80, 261 meals and can feed 75 people 3 meals a day for a year. This reduces food waste, feeds hungry people and reduces the emission of methane gas coming from rotting food in landfills. 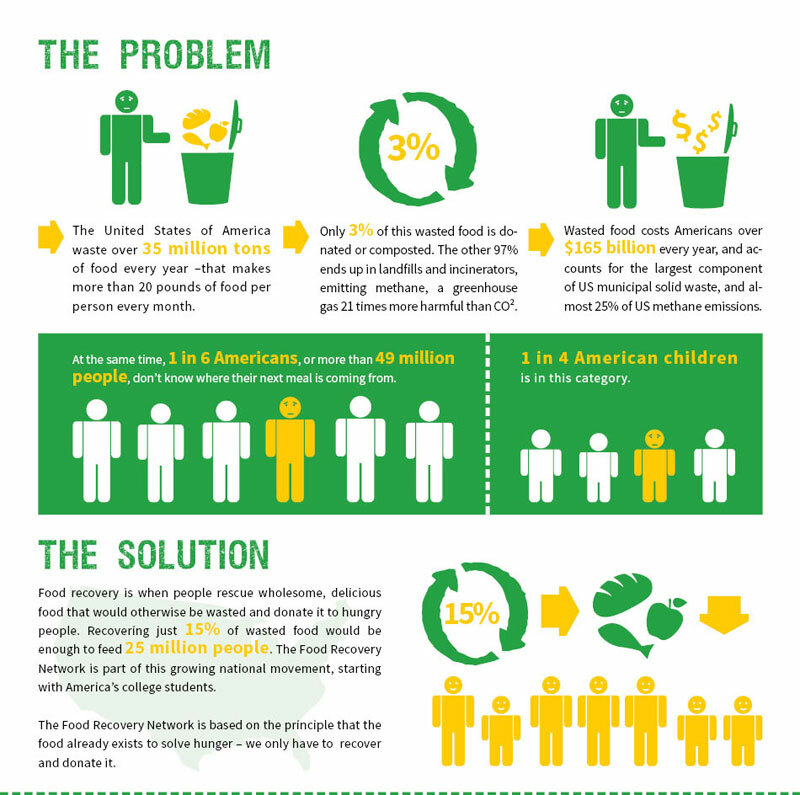 You can learn more about hunger, food waste and global warming here. If you're in college, start a chapter. If you've got 3:10 minutes you can watch a video put out by the University of Maryland that shows you students packing up the food and driving it to an organization in need. As always, you can like their Facebook page to stay in the loop. To stay in the loop with more stories like this, take a moment to like the Inspiration Safari Facebook page. I promise we'll like you back.